Waves of women most impacted by environmental destruction are spearheading viable solutions to the climate crisis by advocating that there can be “no climate justice without gender justice.” For them, the development of urban cities, the reduction of productive farming, and the poisoning of their native lands by industrial pollution are all directly linked to an industrial economy dependent on disenfranchising ecologically sustainable models of traditional women-centered, land-based economies germane to women’s empowerment. In September 2014, my article for TFW, “ ‘No Climate Justice Without Gender Justice:’ Women at the Forefront of the People’s Climate March,” addressed how gender and climate oppression are linked today. As a guest editor of TFW’s forum on “Climate Change and Feminist Environmentalisms,” I seek to lay out a historical foundational framework to understanding the root causes of the exploitative relationship found at the intersection of capitalism, gender, and the environment. There are many significant feminist issues embedded within this intersection. Capitalism’s oppression of non-binary sexual identities and non-heterosexual relations are two examples, which are important in more widespread histories on this topic that are not addressed here. Instead, I focus on groundbreaking feminist works, which explain a history of how the foundation of today’s capitalism was dependent on the simultaneous subordination of specifically women and nature. Working this history into my common activist and intellectual narrative, as a white western woman, is also an act of recognition and solidarity with the incredible women and minority groups on the frontlines of the powerful climate justice movement today. 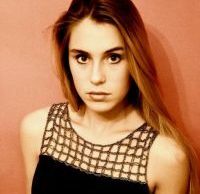 So, what’s going on at the intersection of capitalism, women, and nature and how are they connected? To see the full picture, we need to look carefully at the central values engrained within an economic system built on an ideology of endless profit seeking and growth. From the ancient Greeks to the European Renaissance the Earth was alive – and very much a woman, worshipped, respected, and honored for its life sustaining abilities. The female personification of the Earth dates back to prehistoric times and is evidenced in the ancient Venus fertility figurines, and in Gaia – a primordial representation of the Earth as both woman and mother. The concept of Earth as mother remains prevalent in Indigenous and Global Southern cultures across the globe today. Before the fifteenth century, this gratitude for nature was sustained through communal land models that didn’t require expansive development and production. In her unprecedented work Caliban and the Witch: Women, the Body and Primitive Accumulation, feminist activist and academic Sylvia Federici shows how the European populations of pre-capitalist Europe revolted to protect their shared land from ruling elites. “The commons” was the communal land that the peasants shared and freely used for natural resources and living. Here, women held positions of economic, political, and social value. Their command of herbal and medicinal practices was fundamental to the physical health of the community. Their roles as midwives made them responsible for the lives of those giving birth and for the successful deliveries of newborns. Midwives also doubled as gynecologists who had autonomous authority over their own bodies, reproductive systems, and contraceptive methods. In addition, they held highly revered knowledge and skills in divination – a spiritual practice that was central to the communal value system of the times. All of these esteemed positions were linked to a central societal ethic of respect and honor for the Earth and nature – the source of sustenance and life. However, even in the face of the powerful peasantry resistance often led by women, ruling elites composed of merchants and landowners succeeded in violently taking over the peasant’s stronghold of the commons and replacing them with an era of land ownership and privatization. They would come to transform the autonomous communal people’s economy into the first ever wage earning labor system through the creation of the proletariat, or the working class, as we know it today. Yet these new ranks of waged labor would not be for women whose once valued communal work reflected knowledge of the Earth and nature. The capitalist labor forces had been steadily reserved for men. 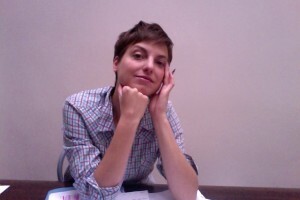 Instead, women were put into the household, to labor in a wage-less domestic economy of what Federici, Maria Mies, and others refer to as “reproductive labor” – housework such as cleaning, cooking, and raising the children (out of this premise, Federici amongst others, would go on to found the “Wages for Housework” movement). With this, the new position of ‘housewife’ is established. European women go from being recognized and fundamental agents in the structure of the commons to unrecognized domestic laborers trapped in their home and dependent on their husband’s wage labor. It was largely on these women’s unwaged labor that the proletariat would be built in order to fuel the hegemonic capitalist enterprise that would unravel in the following centuries. 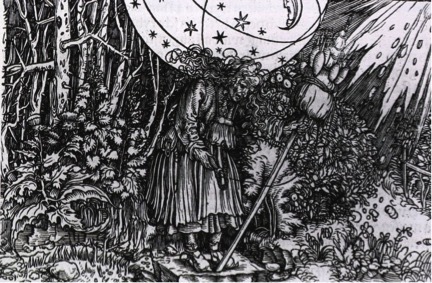 Federici discusses Hans Weiditz’s “The Witch’s Herbary” (1532) engraving in her book, which shows women’s special knowledge of medicinal herbs and treatments including contraceptives that threatened the new capitalist order. However, it was not only nature itself that was targeted. Peasant women, once empowered by their understanding of the birthing process and knowledge of nature, were instead devalued and targeted as witches who practice earthly, mysterious, and enigmatic sins to be uncovered and understood. The witch-hunts and trials – a literal legal project to exterminate groups of women – were carefully orchestrated to assassinate those who refused to give up their earth-centered traditional practices. These were often vagabonds who came from ancestries of displaced peasants who did not integrate into the new waged work model. Amongst them were marginalized women who continued their traditional practices in seclusion, many of which were elderly women who had better recollections of these old practices. It is estimated that up to 100,000 women were viciously tortured and executed for holding on to the old practices of communal and peasant values and living. Federici explains how between the sixteenth and seventeenth centuries, those spearheading the development of the mercantile capitalist model saw a link between population growth and a country’s wealth. Midwifery, contraception, and abortion became threats to the expanding market place, while infanticide was made illegal and mothers were executed for suspicion of enacting it. In addition, the state began to require that women register their pregnancies. While some women’s bodies were being hung and burnt, others were being cut open. 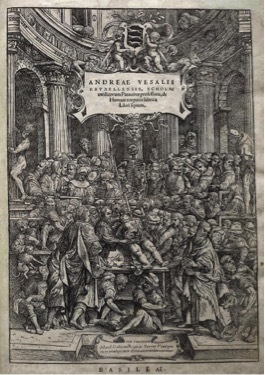 Merchant points to the iconography Andreas Vesalius’s De Humani Corporis Fabrica (1543), which shows some of the first European scientists and observers watching the womb of a female corps being dissected. The body is meant to represent nature, while simultaneously the dissection’s purpose is to pry open the secrets of women. The event takes place in the revolutionary space of the Anatomy Theater, in which some of the earliest innovations of western medical history took place. Soon after, men would replace women as gynecologists, and midwifery would become negatively stigmatized and in many cases banned. New markets of extracting natural resources for making products in a process known as primitive accumulation would soon spread. These resources and products were then traded and sold for the creation of capital. With the industrial revolution and an army of wage laborers under their belts, the capitalist class ushered in centuries of intensive global colonialism. With the rise of the industrial revolution, mercantile capitalism would become a full-fledged international economic system in the western world. It would install itself by brutally displacing populations of land-based peoples, most often enslaving them, in order to exploit their natural resources and turn them into capital through large-scale production and development. Pre-contact North American Indigenous communities maintained a preeminent Mother Earth ideology, which resulted in an outstanding empowerment of womanhood, generating widespread accounts of equal gender relations. The European project of colonizing Indigenous people’s land was dependent on disempowering any positive ethic toward nature and woman, just as it was in Europe. This was achieved by installing European forms of gender relations and dismantling women’s power aided by the appropriation of Indigenous women’s bodies. 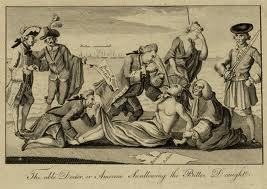 This image, known as “The able doctor, or America swallowing the bitter draught” (1774), shows an Indigenous woman being harassed by European colonizers and their imperialist agenda. 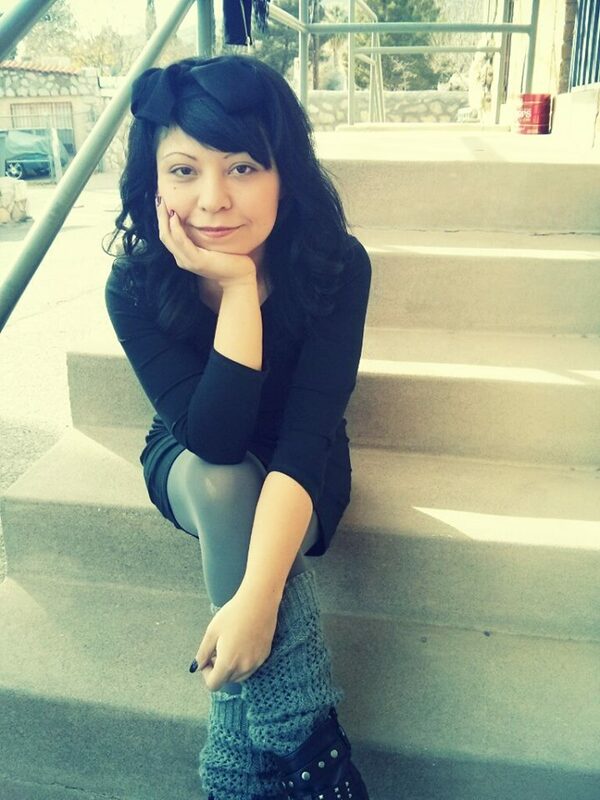 Indigenous feminist Kim Anderson shows that “The bodies of Indigenous women figure not only as images of the lands seized by Euro Western ‘discoveries’ but also as images and sites for their boundary-violating exploits.” Structured on objectives of “consumption” and “conquest,” the Indigenous female body was used metaphorically and literally to over-take the new world. Allegories of Indigenous notions of land as female that is to be respected and protected were occupied by Western-European convictions of land as female to be colonized and developed. The Global South and global Indigenous communities continue to rise up in resistance. They refuse to yield in surrender. Instead, they have shone a light on the travesties committed in the name of capitalism and its returns. They are reclaiming their ties to Mother Earth and standing tall against the capitalist threat against the Earth as their cultural inheritance. In the face of the urgency of today’s environmental crisis, caused by the industrial exploitation of the environment, we must incorporate the ecological component into our feminist struggles. 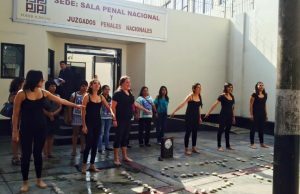 Building bridges with Indigenous and non-Western Feminists while moving towards a transnational feminist practice, is a promising step forward in doing so. Merchant Carolyn, The Death of Nature: Women and Ecology, Harper Collins Publishers New York, NY, 1980, p. 4. Merchant, Death of Nature, p. 171. Merchant, Death of Nature, p. 169. Merchant, “Environmentalism: From the Control of Nature to Partnership,” Video Lecture, Time: 23.23. Mies, Maria, Women in the Third World : An Encyclopedia of Contemporary Issues, “World Economy, Patriarchy, and Accumulation,” Routledge, New York, NY, 1998. Smith, Andrea, Conquest: Sexual Violence and American Indian Genocide, South End Press, Cambridge, MA, 2005, p. 55. Sam D. Gill, Mother Earth. An American Story, The University of Chicago Press, Chicago, 1987, p. 1. Kim Anderson, “Native Women, The Body, Land, and Narratives of Contact and Survival,” in Storied Communities, edited by Hester Lessard, Jeremy Webber, and Rebecca Johnson. Vancouver: UBC Press, 2010, p. 168. Kim Anderson,”Native Women, The Body, Land, and Narratives of Contact and Survival,” in Storied Communities, edited by Hester Lessard, Jeremy Webber, and Rebecca Johnson. Vancouver: UBC Press, 2010, p. 168. Cochabamba: Documents of World People’s Conference on Climate Change and the Rights of Mother Earth, Cochabamba, Bolivia, South Branch Publications, April 22nd 2010, p. 3. Great article, can’t wait to finish it later. Discussing “what the hell happened, how did women who were powerful and respected centuries ago going back so far, become subjugated”, this is a good historical context to help answer this query and hopefully lead to further investigation, activism. Thanks for the great work.